WATERLOO – Western scientists studying patterns of extinction have found that in the next few centuries more than 75 per cent of life forms may be eliminated from the planet. This global extinction crisis is one of the most profound challenges facing the planet. The crisis undermines key elements of organized human societies including environmental security, the availability and sustainability of food and medicines and the stability of the global economy. Laurier Master of International Public Policy students will participate in a policy hackathon about the global extinction crisis Wednesday, July 27 at the Balsillie School of International Affairs. The hackathon groups will present their solution to a panel of judges at 4 p.m., after a day of intensive work. The final presentations to the panel of judges are free and open to the public. A hackathon is an event that combines out-of-the box thinking about a problem or issue and allows participants to develop solutions and innovative ideas to be developed through sustained effort over a compressed time period. Traditionally used to solve software or information architecture problems, this method of generating and developing ideas has recently expanded to policy and planning scenarios. 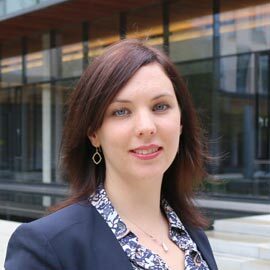 The goals of the hackathon are based on the research program of organizer Audra Mitchell, an associate professor in Laurier’s Department of Political Science and CIGI Chair in Global Governance and Ethics. Mitchell’s work explores the ethical and governance implications of the global extinction crisis, drawing from plural perspectives including Western secular science, Indigenous cosmologies and ecological ethics. While there are a number of national and international treaties, agreements and laws dealing with particular aspects of the global crisis, there is currently no structure within global governance for addressing the global extinction crisis as a whole. Responding to this complex, massive-scale ethically challenging problem demands not only new policy ideas but also creative forms of policy-making. The panel of judges includes Peter Stoett, director of the Loyola Sustainability Research Centre at Concordia University and Timothy Hodges, professor of practice in Strategic Approaches to Global Affairs, at McGill University’s Institute for the Study of International Development (IISD). Hodges is also the co-lead and founding member of Foresight and Environmental Scanning Unit at Global Affairs Canada.